Plush with brilliant depth and fire, the cushion cut diamond is elegance carved from the inspiration of a regal and luxurious velvet cushion. 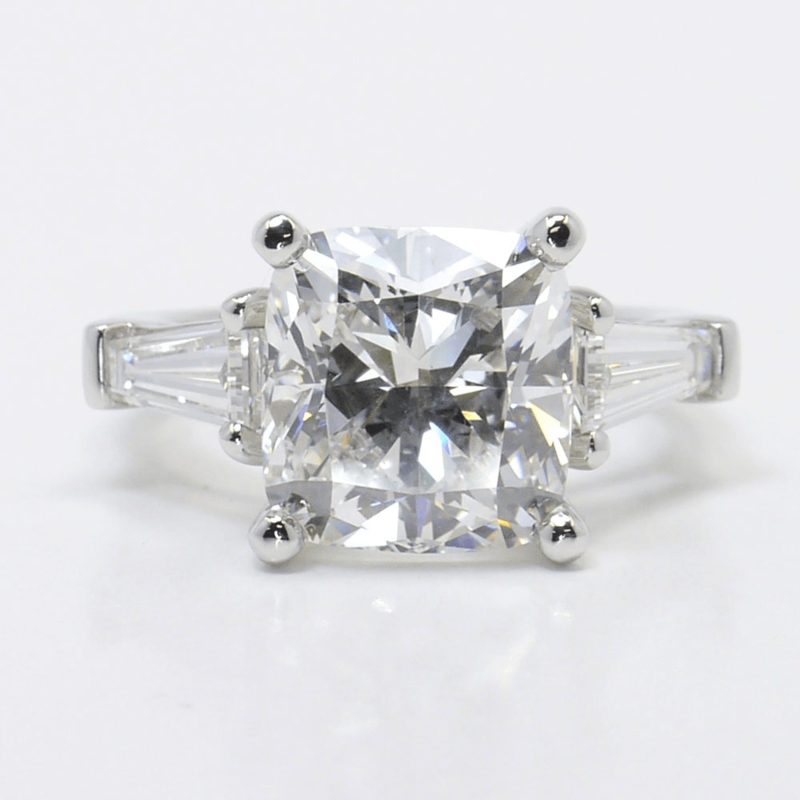 The original cushion cut has been around for hundreds of years and was designed using step facets, resembling the look of an Asscher or Emerald cut. Cushion cut diamonds hold a vintage nostalgia that makes them incredible choices for antique style engagement rings or brooches. A cushion brilliant diamond based on the faceting design invented by Marcel Tolkowsky. Marcel Tolkowsky, a gemologist and mathematician who created the formula for the perfect symmetry for diamond cutting, reformulated the cushion cut by swapping the step facets for brilliant facets. Etched like little prisms to bounce light around the diamond, brilliant facets—also found in the round brilliant diamond—allowed the once understated, elegant cushion design to exude maximum fire. Today’s cushion cut mirrors Tolkowsky’s brilliant inspiration. 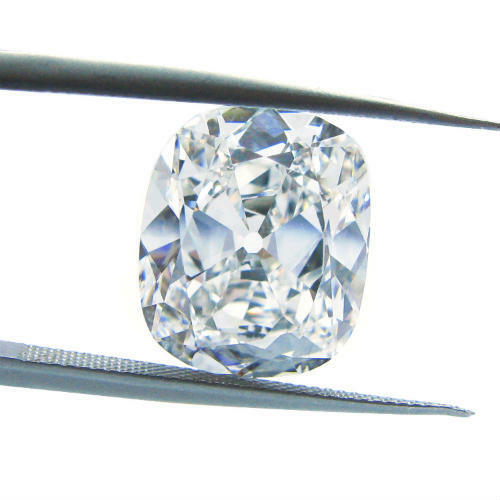 The modern cushion cut—also referred to as a “pillow cut”—uses the same brilliant facets, but more of them. An additional row of facets are cut along the pavilion of the diamond to draw light deeper into the stone creating extra flashes of color from the stone. 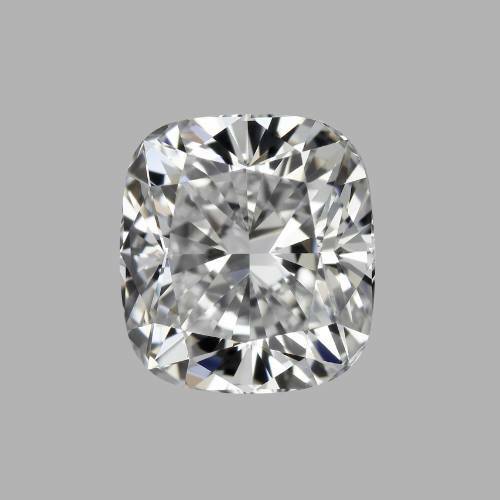 The “modified cushion brilliant”–as the new version of the cut is labeled on GIA certificates—has become a contemporary answer to the classic cushion cut. Modified cushion diamonds still observe the same vintage-inspired roots and look extremely chic when set within antique settings or art-deco inspired mounts. The modified cushion brilliant features even more brilliant facets than a standard cushion brilliant. For the cushion cut, facets create the focus. 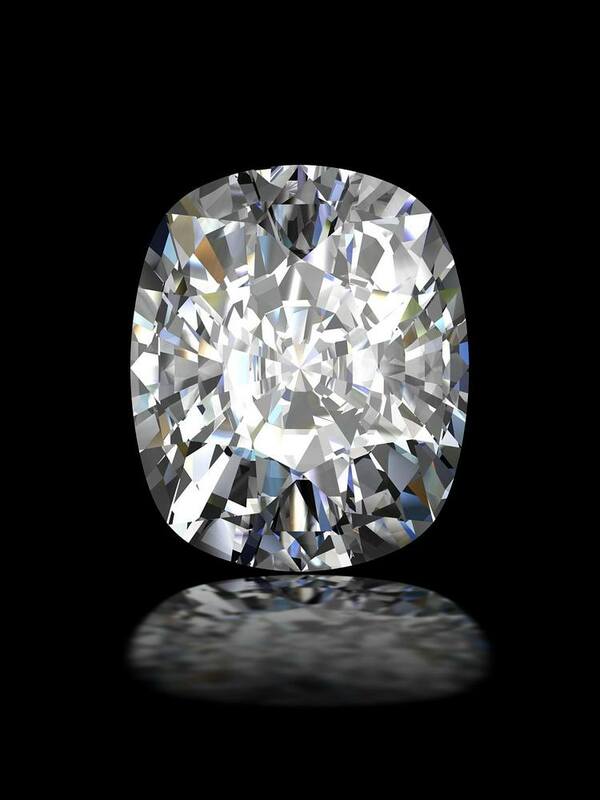 All diamond cuts rely on the facet etchings to bring light within the stone to produce the flashes of white and various colored light that make diamonds unique. Facets within the cushion cut create game-changing results. A brilliant facet—as created by Tolkowsky—resembles a star when clustered together and each facet acts like a prism, bouncing light around the entire diamond for maximum fire and brilliance. Step facets—which were once used to create the cushion cut and are still used in Emerald and Asscher cuts—display a mirror-like shine instead of the fiery spark that newer pillow or cushion cuts produce with their more detailed facets. A truly vintage cushion cut diamond exhibits the subdued, yet classic elegance famous of the straight-edged step facet; while the diamond has luster and sheen, step facets do not offer a prismatic brilliance. The Hope Diamond—arguably the world’s most famous cushion cut diamond—features step facets. Impressively large and infamously beautiful, the Hope Diamond is a masterpiece jewel. Weighing in at more than 45 carats, the Hope Diamond is intimidating and burns with intriguing history. With its brilliant and rare blue color, the stone silently sizzles without need for any further displays to detract from its pure perfection. 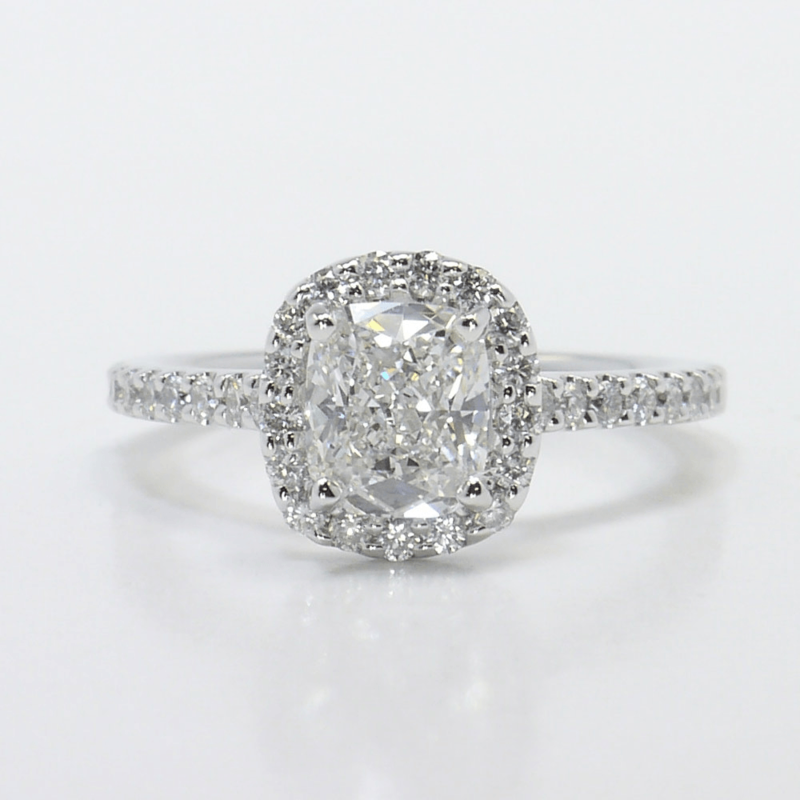 In fact, the vintage style cushion cut is quite popular for fancy colored stones, as the step facets help to bring out the natural color of the diamond. Newer cushion cuts create remarkable and noteworthy centerpieces for solitaire engagement rings or vintage-inspired settings. The cut’s modern brilliant touch also adds incredible fire when surrounded with a diamond or gemstone halo. Cushion Brilliant diamonds are a mix of vintage and modern and their eclectic elegance makes them intriguing choices for those who want a more unique cut than the classic round brilliant. 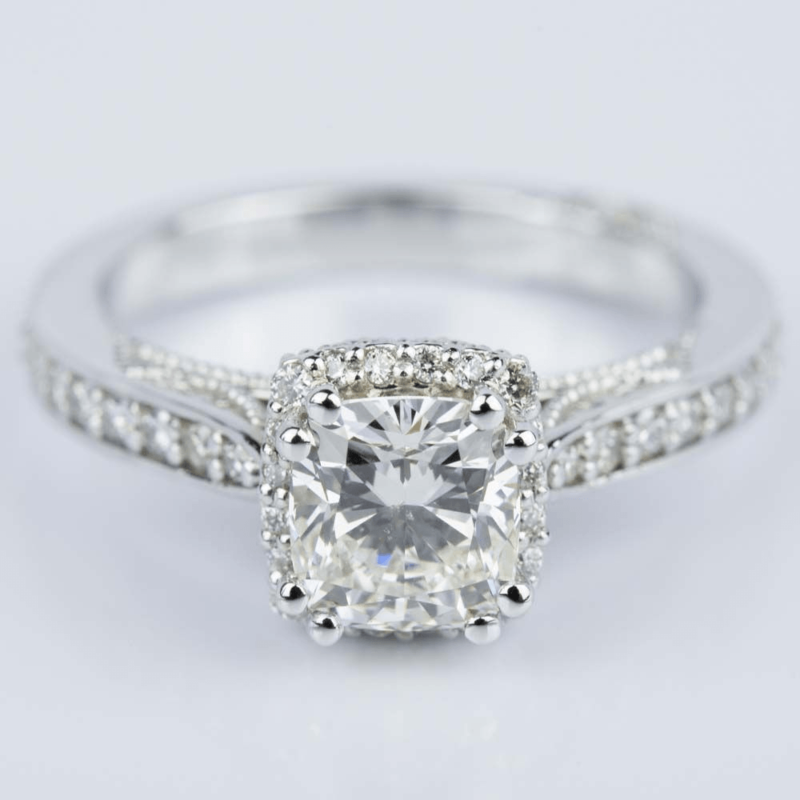 Purists who prefer the older, classic version of the cut will find great comfort in choosing a vintage or antique cushion cut stone that features the historic step-facet cut. A truly vintage stone is a piece of history that holds its own secret stories of the past. 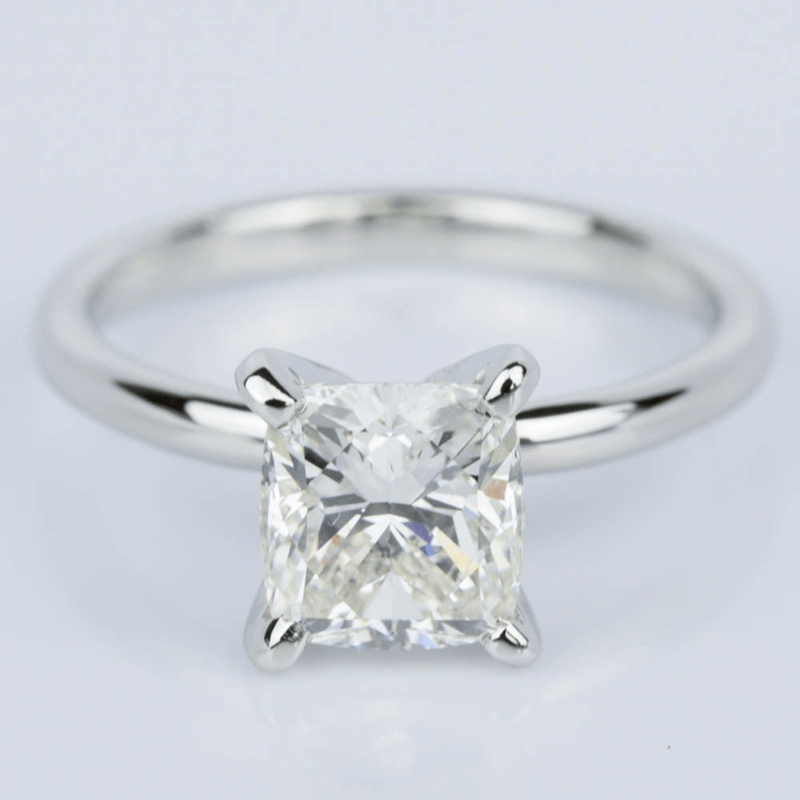 With the cushion cut, the facets make the stone. With step facets, the diamond illuminates with a lucid luster. But with intricate brilliant facets, the diamond elicits spark and bouncing fire. Each look—vintage cushion and modern brilliant cushion—still holds the same lush beauty that remains the hallmark of the cushion cut. No matter how you cut the cushion’s facets, the beauty of the stone remains the same: remarkable, classic and regal.